In a note to investors provided to AppleInsider, JP Morgan advises it analyzed the finances of firms in the iPhone supply chain, observing what it calls a seasonal deceleration for January. Month-to-month aggregate revenues for the suppliers dropped by 24 percent in January, whereas declines in December and November were 5 percent and 3 percent respectively. By comparison, the historical decline between December and January revenues is usually around 22 percent, suggesting the 2019 figure is larger than normal. While down on a sequential monthly basis, JPM notes that on a year-on-year analysis, aggregate revenue rose by 2 percent in January. The same metric in December showed a 4 percent decline, but in November it was up 9 percent. According to JP Morgan, it believes the small improvement in January "could be early signs of a stabilization." As a whole, the global smartphone market declined by "low-single digits" for the entire year of 2018, including a "mid-single digit" decline for the fourth quarter. A 6 percent decline in global shipments in the fourth quarter is said to imply a 2 percent year-on-year decline on full year shipments. 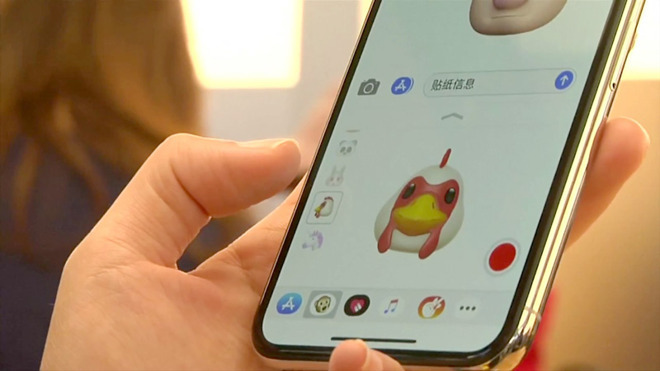 In China, a market Apple is trying hard to maintain, JPM references data from IDC claiming shipments are down overall in the market, with iPhone seeing a 20-percent year-on-year decline in the fourth quarter. "We believe IDC estimates might be conservative relative to both the decline in smartphone shipments and decline in iPhone volumes in China," suggests JPM, citing Apple's conference call commentary on the market. While iPhone is down from normal, JP Morgan observes Apple is gearing up to push Services "organically," such as by introducing video and news subscriptions, though apparently investors think Apple should be doing otherwise. "We believe investors are looking forward to the firm exploring inorganic opportunities in Services, potentially accelerating the transformation to Services and helping offset the headwinds from the manufacturing smartphone cycle," JPM notes. "Investors will be closely monitoring the latest management changes over the weekend and are hopeful it will trigger progress towards leveraging the balance sheet for M&A (mergers and acquisitions)." This last part references Apple's reshuffling of some of its staff at the top of the company, with the headline change being the departure of Angela Ahrendts as the senior vice president of retail and the selection of Deirdre O'Brien to fill the role. JP Morgan has previously suggested for Apple to make more mergers and acquisitions using its cash hoard, writing on February 4 that it could make major purchases in the fields of gaming, smart home speakers, and video. "JP Morgan has previously suggested for Apple to make more mergers and acquisitions using its cash hoard, writing on February 4 that it could make major purchases in the fields of gaming, smart home speakers, and video." Sound like the same sort of advice GE was given back in the day! Yet another year of ignoring analyst’s advice. How long can Apple hang on?